The Leichhardt Way, Australia’s Country Way and the Dawson Highway all make the Sandstone Wonders region easy to access. Stretching over 25 mountain ranges, the landscape can take your vehicle through rugged terrain and lush valleys, past glittering lakes, rivers, and open pastures. The landscape promises beautiful vistas carved over millions of years, adored by the communities who call them home and the visitors who come back year after year to experience the “rooftop of Queensland”. First off, decide just how adventurous your drive needs to be. Whether you’re behind the wheel of a powerful 4WD, towing a pristine caravan, or just cruising with the whole family, you can take in the ancient Sandstone Wonders on any number of road trips. The rough terrain of the Sandstone Region’s mountain ranges offers thrill seekers some rugged and rewarding 4WD experiences off-the-beaten-track. So if you have the right equipment, experience, and the weather on your side, why not rock ‘n’ roll? 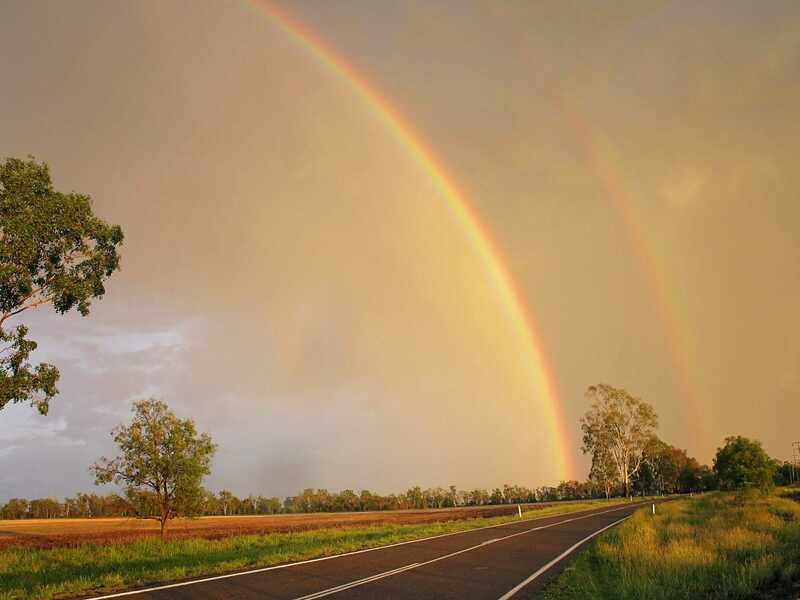 You might try the Magical Mountains Self Drive Tour, beginning in Thangool and ending in Biloela, this drive is recommended for those with the equipment and fortitude for a real adventure. Pass through Mount Scoria, often called “Musical Mountain” due to the unique rock formations that make a humming sound when struck. The highlight of this tour for many is Kroombit Tops National Park where tackling the ‘Razorback’ trail with a 4WD provides a real thrill. Those who conquer this steep and jagged track can access the Beautiful Betsy Bomber Crash Site, The Wall, and spectacular views at Kroombit Tops Lookout. 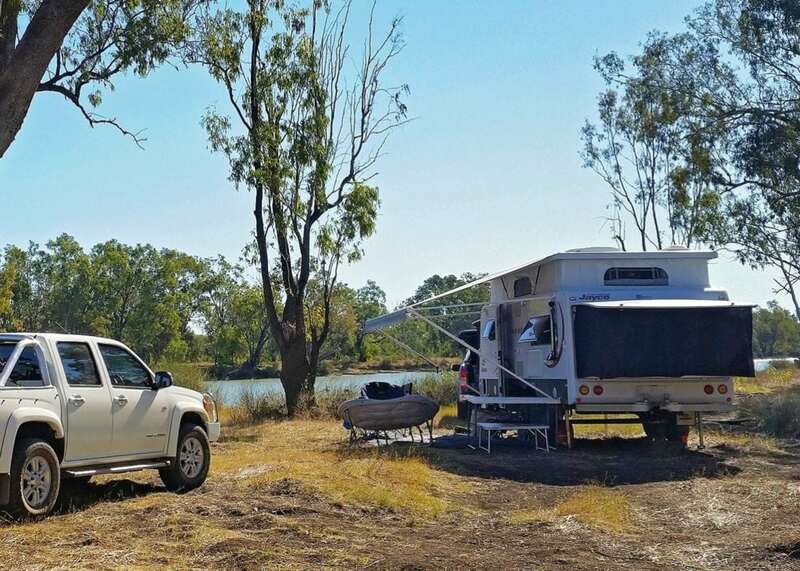 The Isla Delusion Self Drive Tour contains some more challenges for the 4WD adventurer taking you to magnificent heights and then plunging you into the heart of the River Country, where palm forests line the banks of the Dawson River. 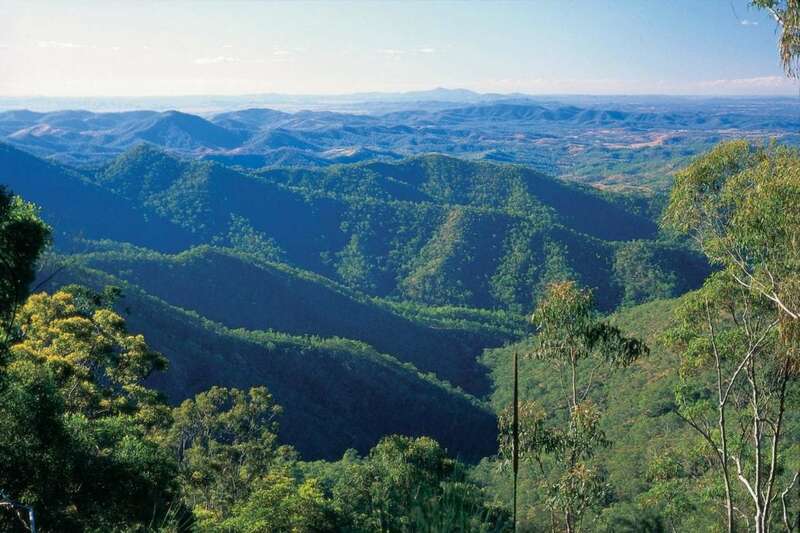 A highlight for the bold is the Flagstaff Hill/Ghinghinda Scenic Loop section of the Isla Gorge National Park. Expect 200 km of magnificent scenery, including views over a series of natural lakes. Spot grey kangaroos, whiptail wallabies and perhaps the unique Herbert’s rock wallaby. 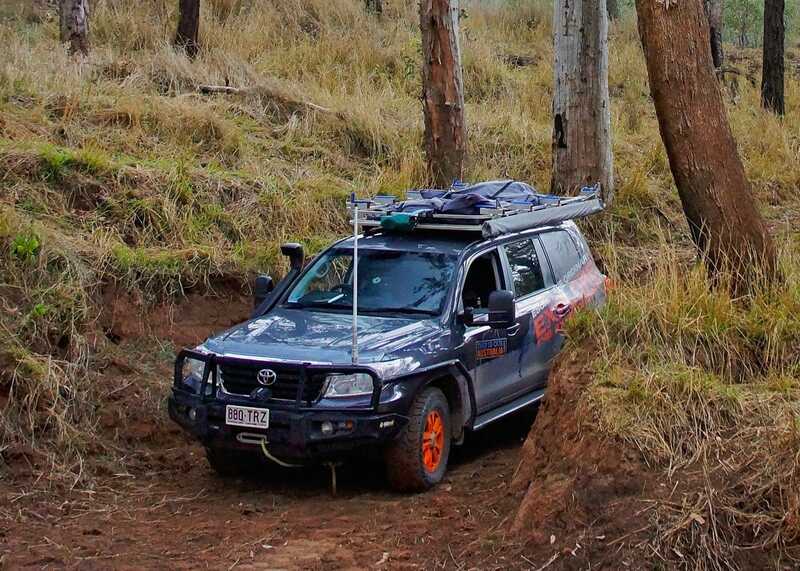 Perhaps you’re not an experienced 4WD’er but you’d like just a taste of offroad adventure? Locals recommend the Inverness Road Loop for a more leisurely scenic 4WD track, not requiring serious skills. This route will take you past the old Boundary Hill Mine with views to Mt Rainbow, and meanders between peaceful creeks. 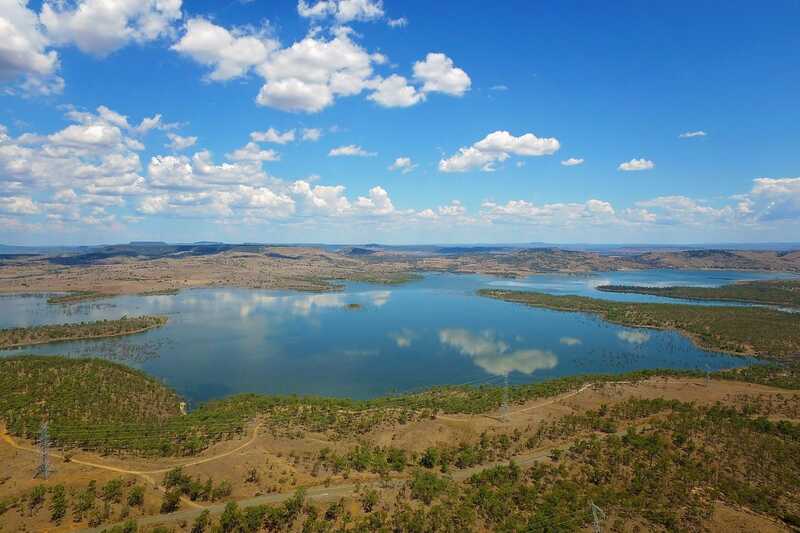 The Biloela Beauties Self Drive Tour includes another local favourite in the series of tracks leading off the Callide Dam. There are options for easy and more hard-core 4WDing. Pack your fishing rod and esky because BBQs are provided in the recreation area. 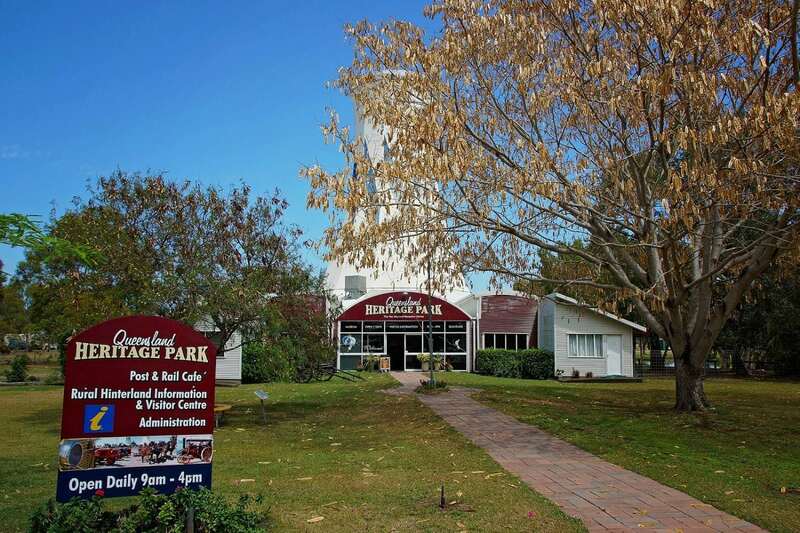 On a dry weather day pack a picnic and try the Malakoff Lookout Loop Self Drive Tour or the Rural Villages Self Drive Tour to experience country life. The drive will take you over creeks and river crossings, past quiet spots and country pubs. A longer trail, the Defence Road Cracow Loop, leads you through wonderful reminders of the region’s history. 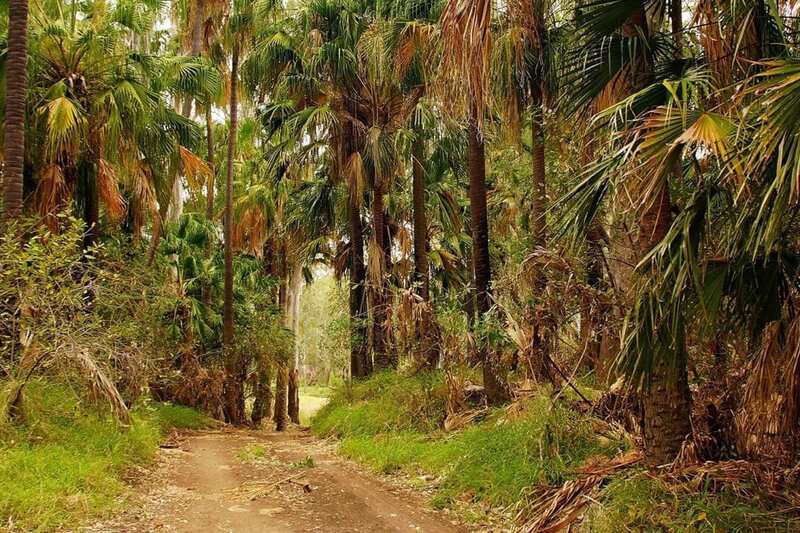 Travel near Banana Shire’s largest cattle station, see one of Queensland’s oldest racecourses, visit ghost towns and cross bridges steeped in war history. The section of driving near Cracow Beach towards the end of the trail is an opportunity to practice basic 4WD skills on its black soil composite. Prefer smooth sailing? No problem. The region’s sealed roads will carry you through some beautiful scenery and welcoming communities along the highway. 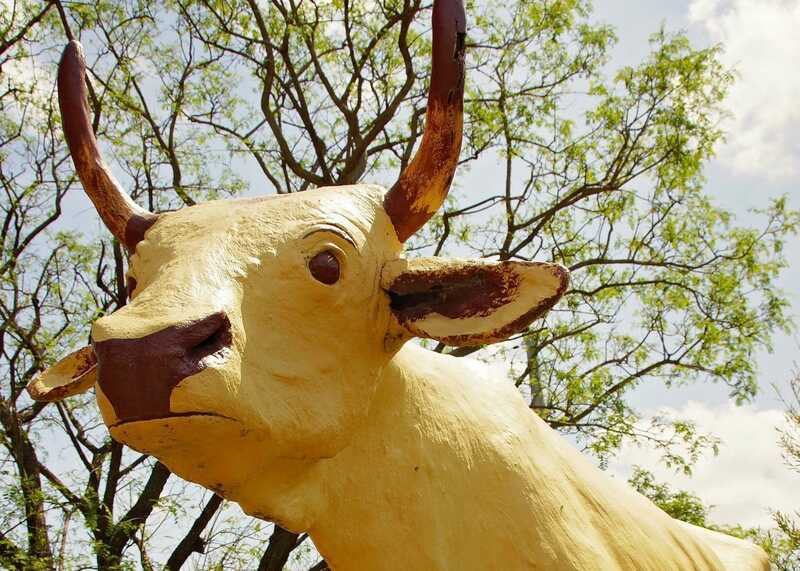 Let the Leichhardt Way guide you from the southern end of Sandstone Wonders country through Taroom, all the way up past Wowan at the region’s northern tip. From special events to historical sites, tiny towns to sprawling vistas, you’ll uncover plenty of treasures – the easy way. The Banana Loop Self Drive Tour includes long stretches of smooth asphalt and significant sites along the Dawson Highway. Start in Banana at the bullock statue after which the town was named, and pass Dawson Mine – Australia’s first export coal mine. After cruising by points of agricultural interest you’ll pass the Miner’s Statue, a memorial to the mine disaster in 1986. 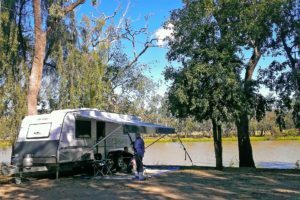 Stop by the Apex River Park on the Dawson River to relax a while. 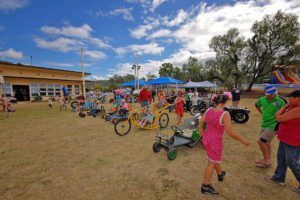 This is home to several fantastic family events throughout the year, and if you time it well you might catch the Muddy Water Fishing Competition in April; or Dawson River Festival in October. Expedition National Park’s Robinson Gorge is another great spot accessible with an AWD vehicle. If you’re prepared to stretch those legs there are a series of well marked walking tracks that will take you to a lookout, into the gorge or to Shepherd’s Peak. 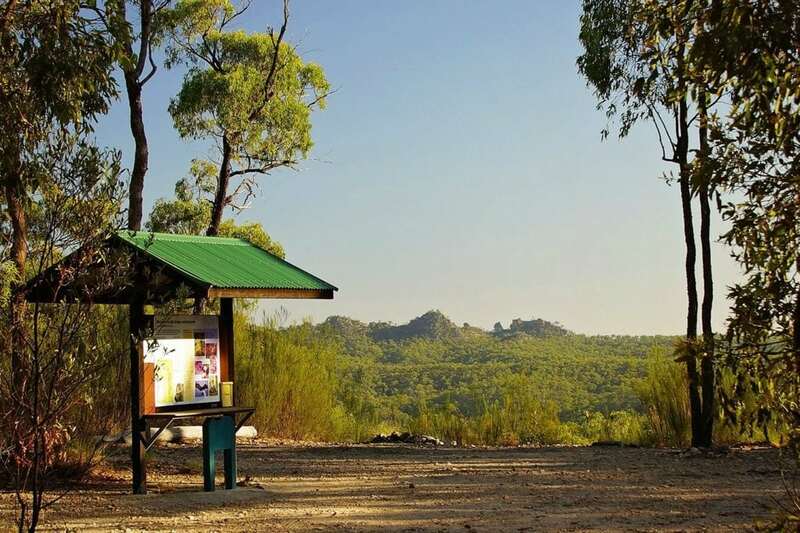 There is also a short drive to the Cattle Dip Lookout. It is important to note that this destination is probably not suited to all family members as there are sheer drop cliff edges and no guard rails. After taking in the breathtaking view of the sandstone cliffs, settle in to a quiet campsite – you will have earned it! 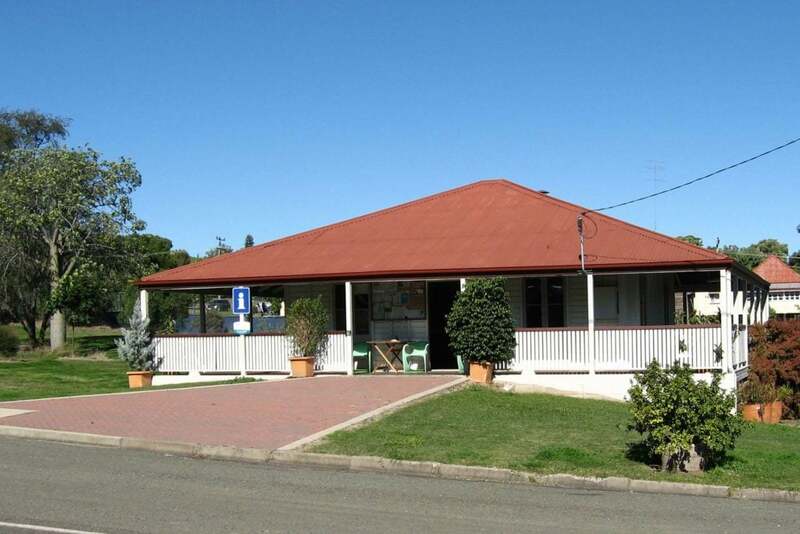 Check out our other self-drive tours that incorporate easy stretches of travel, such as the Mt Ramsay & Baralaba Loop, which includes a historic village you can visit by appointment. 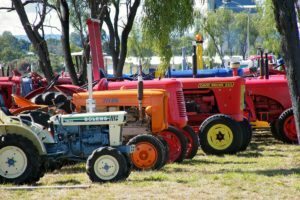 For a longer journey try the Baralaba History Loop Self Drive Tour which incorporates Banana, Biloela, Dixalea, Wowan and Rannes. The trip includes small museums and historical hotels, with snippets of their pioneer past to discover. Whichever way you want to go, be sure to read about our helpful self-drive tours to make sure your chosen route fits your needs. It’s always smart to check weather forecasts, ensure your vehicle is equipped for the terrain, and of course, never drink and drive. Country driving comes with its own quirks, so adhere to signage and always close gates behind you. But most importantly, please leave this beautiful part of the world as you found it so it’s here to enjoy year after year. To make the most of your visit to the Sandstone Wonders region, why not camp? It’s the best way to experience the key events across the region. Camping spots are readily available in the region, but facilities are often limited. If you are planning to camp in a designated campground or National Park ensure you book and obtain the necessary permit – especially during busy periods like Easter and School Holidays. Keen to throw in a line? The Sandstone Wonders is a popular fishing destination. Whether you’re a beginner, an avid fisher-person, or keen to participate in fishing competitions, the region offers something for the whole family. 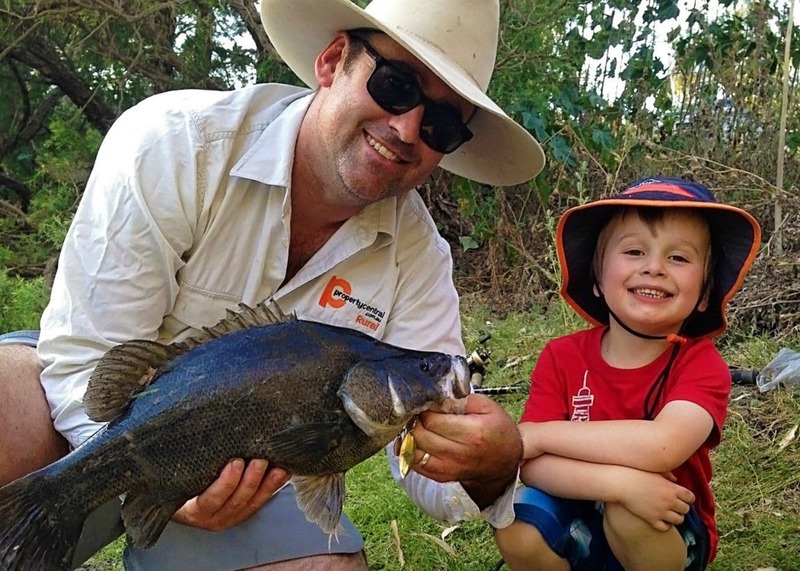 Why not take your fishing gear and give it a go! 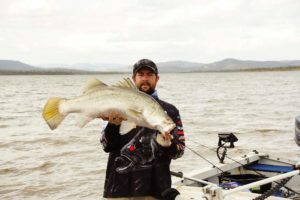 Check out the best fishing spots on our website. Or check out some of the suggested self-drive trails.